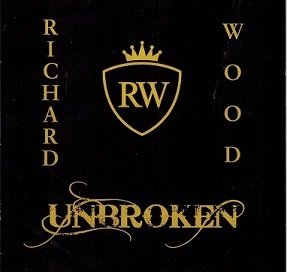 Richard Wood, step dancing/fiddler from PEI just released in November, 2018 a new CDentitled UNBROKEN. He is considered as one of PEI's most energic and celebrated fiddler.In the past, Richard won 3 ECMA Awards and has been acclaimed by MacLean's Magazine as one of the top Canadians to watch in the 21st century. Richard has been working on his new CD for some time and his aim was to make this CD hisbest to date. The CD contains 13 tracks and Richard certainly has come up with a winner allthe way says Atlantic Sebreeze. We for see award nominations for this album. Many musicians helped Richrad with his music namely; Gordon Belsher, Natalie Williams CalhounSkip Holmes, Remi Arsenault, Mike Cowie, Todd MacLean, Brad Fremlin, Teresa Doyle andCaleb Acorn. Remi Arsenault-Gordon Belsher-Todd MacLean-Eddy Quinn-Joey Kitson-Janet McGarrySerge Savard-Peggy Clinton-Kendall Docherty-Brady MacDonald-Charlene Belsher-Jolee PatakiTeresa Doyle-Amy Argent-Kelley Mooney-Jon Matthews-Jill Chandler-Shelley Montreuil fiddle.